Current <subscriptionName> to set the current subscription. Did some research and found that we need to connect to Azure subscription and then run these command. To do so we need to download and install Azure Powershell. 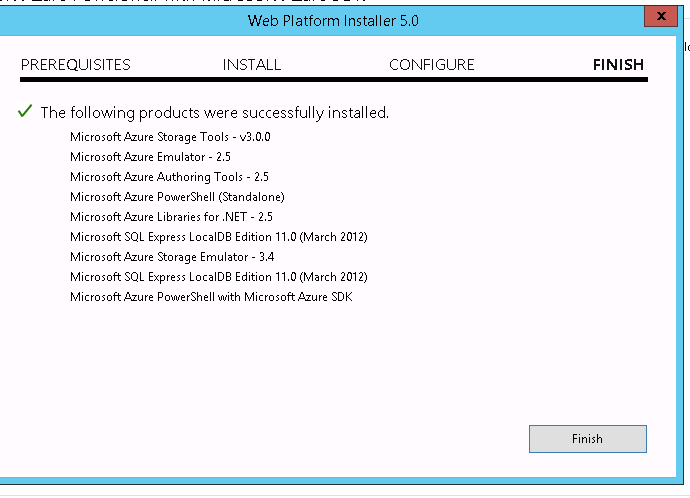 Copy paste below url on your browser and install the Web Platform Installer. 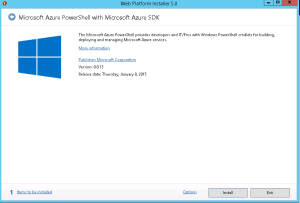 This will give you option to download Azure Powershell. 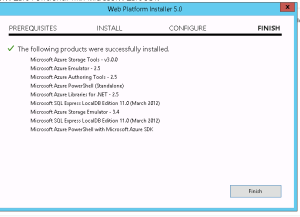 Now we will download the Azure Setting file to connect to the azure server. In the Azure Powershell, type below command. Once you login to your Azure website, you will get a file named “Visual Studio Premium with MSDN-date-credentials.publishsettings”. Save it to a secure location. This file contains secure credentials and additional information about subscriptions that you can use in your development environment. Now the command completed successfully. Error: The translation failed because the online translation service was unavailable. Please resubmit this file for translation. If the files fails again with this error message, contact system administrator. An operation failed because the following certificate has validation errors: Subject Name: CN=.microsofttranslator.com Issuer Name: CN=Microsoft Secure Server Authority, DC=redmond, DC=corp, DC=microsoft, DC=com Thumbprint: 34E4C8A8D13F40FAB97F9655F2A505DDC36BD9C2 Errors: PartialChain: A certificate chain could not be built to a trusted root authority. RevocationStatusUnknown: The revocation function was unable to check revocation for the certificate. OfflineRevocation: The revocation function was unable to check revocation because the revocation server was offline. .
MicrosoftTranslator: Error encountered: System.ServiceModel.Security.SecurityNegotiationException: Could not establish trust relationship for the SSL/TLS secure channel with authority ‘api.microsofttranslator.com’. —> System.Net.WebException: The underlying connection was closed: Could not establish trust relationship for the SSL/TLS secure channel. —> System.Security.Authentication.AuthenticationException: The remote certificate is invalid according to the validation procedure. Open the Microsoft site(https://www.microsoft.com) in any browser and export the certificate on your local desktop.You can also directly install these certificate to Local trusted authority. Make sure you repeat this step for all other certificates in the chain. In my case, I forgot the GTE CyberTrust Global Root which results in the other certificates below the chain to be untrusted. After this you need to restart IIS and the Machine Translation Service (via Central Admin), and hit that button in the ribbon again in order to start the machine translation.